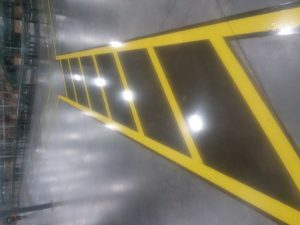 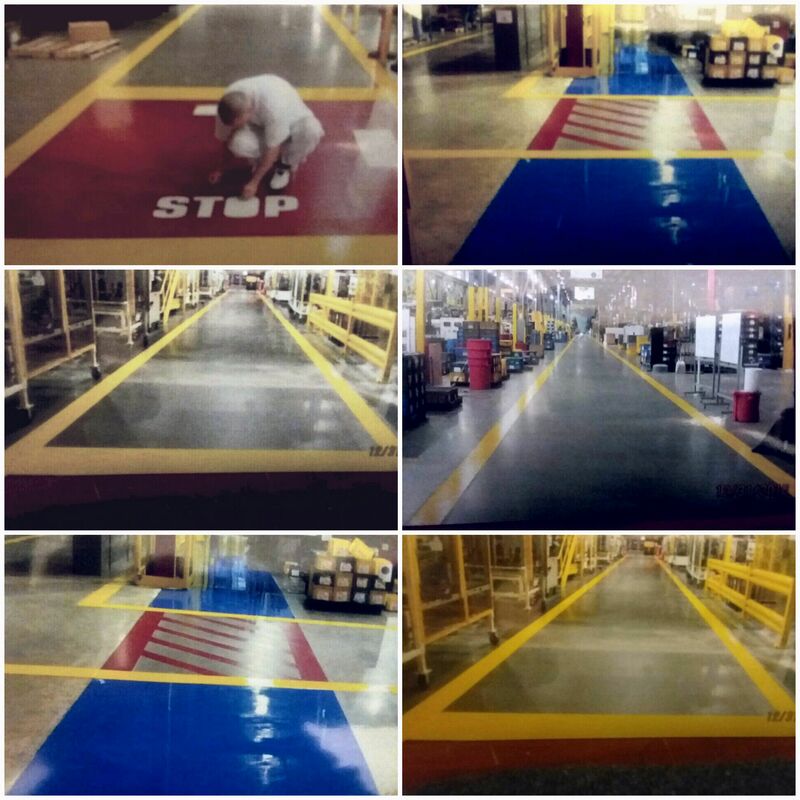 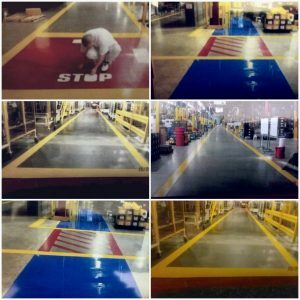 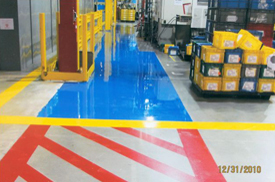 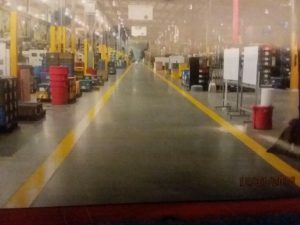 Bowles Electrostatic Painting designs crosswalks and walk areas, Intersections, Production and Forklift Lanes to ensure safety for all personnel in your plant. 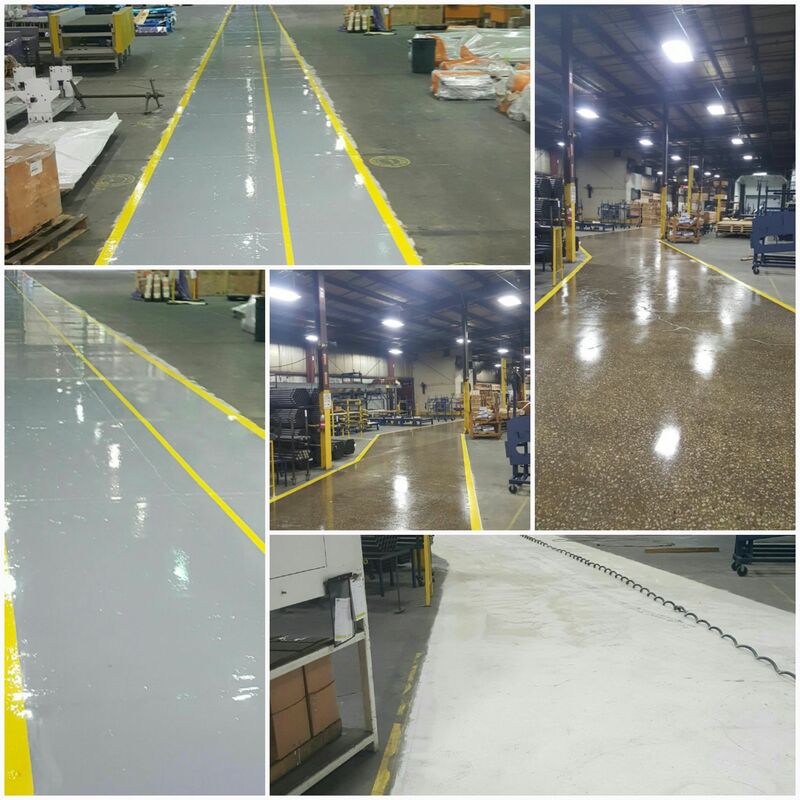 All floors are Blast Trac to ensure proper adhesion and longevity of product applied. 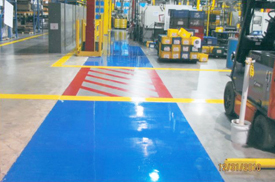 The product used is a 100 percent solid, 2-component epoxy floor coating system. 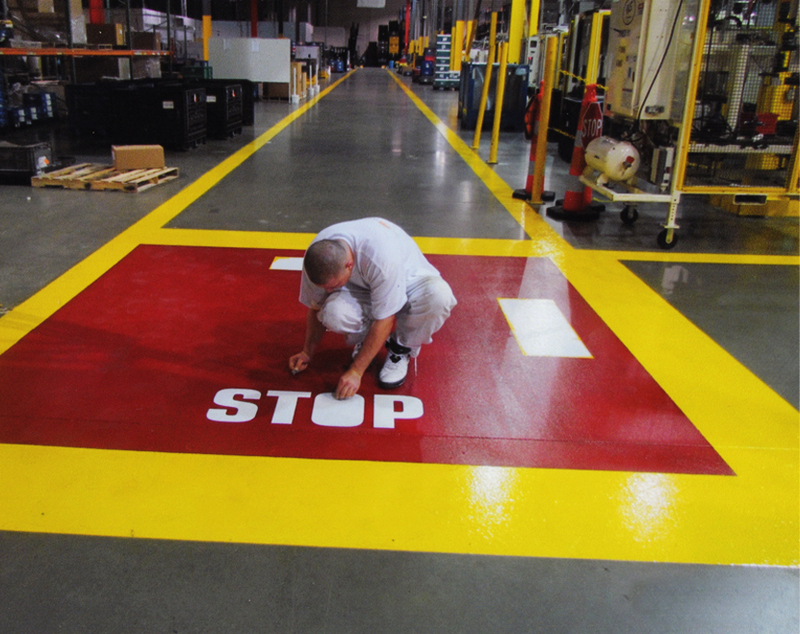 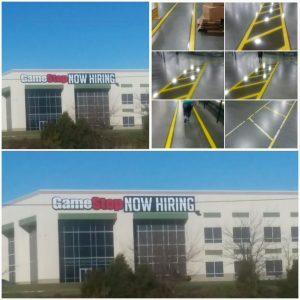 Our Striping is Blast Trac to ensure proper adhesion and make it a permanent line after the 2 component urethane system is applied. 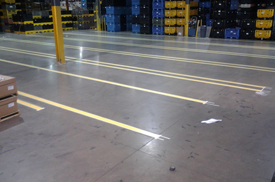 You can drag pallets and drive forklifts across these lines. 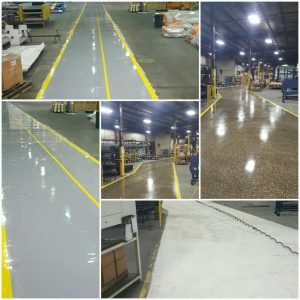 Coating used is 100 percent solid, 2-coat floor coating system.